Yes you read that correctly. Mason Farris did not shoot nor kill anyone but he stands charged with felony murder among other charges. More and more we are finding cases where the police have shot and killed someone but one or all of the survivors of that situation are charged with the murder. Sound ridiculous? We agree. On May 5, 2018 Mason Farris had an arrest warrant for an alleged parole violation. He was hanging out with his friends Savannah Hill and another girl. Savannah had stopped at a gas station and, from the bathroom, placed a call to the police. She reported her friend Mason's wearabouts to the police who intended to come pick him up. Savannah told police that if they did that Mason would just run away. She did not want anyone to be hurt so she suggested that the police find her and pull her over. She said that Mason would be unable to get out of her car because of child safety locks.and that way the police could arrest him without incident. After Savannah contacted the police they had crafted the plan that the police would intercept her and pull her over and be able to arrest Mason, Savannah then pulled out onto the road and began her journey. A few minutes later the police did intercept her and she pulled her car over. She expected that police would approach and Mason would be taken in without incident. She was wrong but sadly not alive to tell the tale. As officers approached her car Mason panicked and tried to exit the vehicle. Unable to do so because of the locked doors he leaned forward and pushed on Savannah's leg to get her to drive away. The car was apparently not all the way in park, it was in fact in reverse (the next gear down) and the car lurched backward knocking one officer to the ground. Savannah hit the brake and the officer got up but at that moment his partner pulled his service weapon and fired at the driver which was was Savannah. Yes, the girl who was trying to help the police in the first place. The officer shot her to death. The officer did not just fire into the car, he took aim at the driver. The other officer that had been knocked down seemingly was uninjured. Mason was taken into custody and was charged with felony murder among other murder charges in the same incident. Yes, MASON was charged with murder for Savannah being shot and killed. Did you read anywhere that Mason had a gun? No, because Mason did not have a gun. Did you read anywhere that somehow Mason shot Savannah? No, because Mason did not shoot Savannah, the police did. A young mother of 21 is dead, shot and killed by the police. Mason Farris stands charged with that murder. That is how the felony murder law is used. We mentioned that Mason Farris was wanted for an alleged parole violation. What was his original crime? Was he a hardened and dangerous criminal? Hardly. 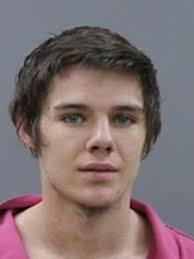 Mason Farris had served time for drug possession and theft. No violent crime. He was on parole after serving his time for possession and apparently violated the conditions of that parole according to the police. Mason Farris should have been charged with resisting, fleeing, even assault of a police officer, we do not disagree. What Mason Farris should not have been charged with was the murder of his friend Savannah as he is not the one that aimed a gun at her and shot her. Savannah was flown by helicopter to the hospital where she died later that day. Savannah did not have to die and Mason Farris should be not be facing a murder charge in her death.